An evening with Pharo and the ESP32 microcontroller: read more! as part of GSOC 2017. Read more. Redis is an open source, in-memory data structure store, used as a database, cache and message broker. Sven wrote a new article on Medium on "Quick, write me a Redis client"
The AWS SDK for Pharo Smalltalk enables Smalltalk developers to easily work with Amazon Web Services. It now has support for CloudFront. More videos from PharoDays 2017 are available on Youtube. Mike announced some news about http://pharocloud.com. I already tried the Ephemeric cloud this week - just ZIP a Pharo image with a server running on port 8080 and upload it. The most easy way to get your Pharo web application into the cloud! There is now also a Snap package for Ubuntu to install Pharo 6. SAWADA Farm is a large strawberry farm located near Central Japan International Airport. Surrounded with the beautiful nature of Japan, you can enjoy strawberry picking. According to these slides they seem to use Pharo and Seaside for some website services. 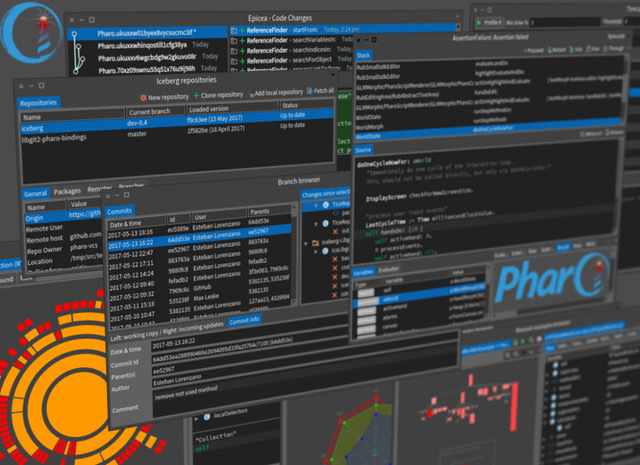 A new and impressive release 6.0 of Pharo was released today. Now with Epicea, Git support and 64 bit support, and many many fixes, changes and new tools. Go and grab your copy today. During GSOC there is a new implementation for Current Working Directory in Pharo. Pharos Fast Table gets improved during GSOC. Read more here. Squeak VMProfiler is now available headless in Pharo. Tomohiro Oda received a Pharo mug at the 100th Tokyo Smalltalk Study Group. And he now virtually served water to it using his HoneyGinger project. HoneyGinger is a fluid dynamics simulator and visualizer based on the SPS method. The SmalltalkHub site has some more videos and the code if you are interested. Nice!